AgentSF.com provides HomeTour360, iPIX and Realtor.com Virtual Tours in San Francisco for real estate agents, real estate offices, new home communities and commercial properties. Images designed specifically for Real Estate related websites, plus over 2,000 more high-quality web graphics for members. Listing of real estate related domain names being offered for sale. Specialist real estate websites with design, hosting, and site management with help from real estate account managers. Located in San Diego, California, United States. ADLForms Electronic Forms service to the Real Estate Industry in Queensland (QLD, Australia) and New South Wales (NSW, Australia). Real Estate Agents can print forms to provide them with the majority (If not all) of their forms printing requirements. Offers banner ads and home pages for real estate related businesses in Virginia cities. HUD/RESPA Real estate closing software. News about HUD, RESPA and real estate conveyancing. Over 2,000 forms and contracts in Adobe Acrobat format, with text entry fields. Used by Realtors, transaction attorneys, closers, title agents, mortgage bankers, and others in the real estate field. Commercial real estate lease transaction analysis software for managers and brokers needing in-depth financial analysis, internationally & domestically. Written by a Fortune 500 real estate manager so you can make informed decisions. Provides virtual tours for real estate and commercial uses, real estate photography, web design and hosting. Offers integrated software solutions for real estate companies involved in land development, residential construction, commercial construction, home building, and property management. Sol Transaction provides real estate agents with reliable transaction management services by combining the skills of highly trained transaction coordinators with a customized software application. Quickly generate Real Estate forms for properties. Includes tutorial on HUD-1 settlement statement and templates specific to PreForeclosures and Short-Sales. Customizable templates in universal format allows you to create your own forms. Alta Star HUD LITE Real Estate Closing Software - an automated program for prepraring the Hud-1 Settlement Statement, plus Alta Star FAR and FAR/BAR forms: software that automates preparation of real estate contracts and forms, officially licensed from Florida Association of Realtors and The Florida Bar. Forms for the real estate industry, rental forms. Offers real estate and generic domains. If the business hours of ASP Canada in may vary on holidays like Valentine’s Day, Washington’s Birthday, St. Patrick’s Day, Easter, Easter eve and Mother’s day. We display standard opening hours and price ranges in our profile site. We recommend to check out aspcanada.com for further information. 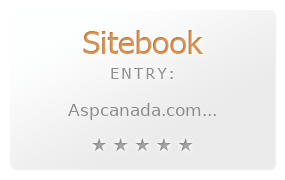 You can also search for Alternatives for aspcanada.com on our Review Site Sitebook.org All trademarks are the property of their respective owners. If we should delete this entry, please send us a short E-Mail.